P R O B L E M : You’ve removed the mold and mildew that had gradually built up in your shower, but the ugly stains still remain. 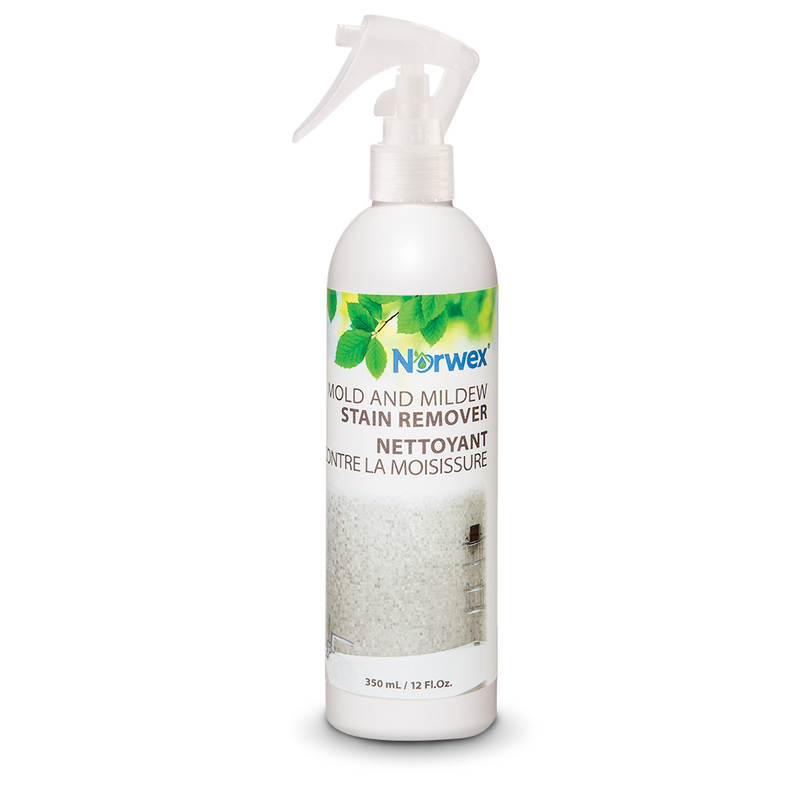 What’s the best way to get rid of unsightly mold and mildew stains without resorting to harsh cleaners, like chlorine bleach, peroxide or ammonia, which can burn your skin and irritate eyes, lungs and air passages? S O L U T I O N : Our environmentally friendly Mold and Mildew Stain Remover effectively eliminates even the toughest mold and mildew stains from all types of surfaces, both indoors and out. And because it contains absolutely no harmful chemicals, it’s completely safe for your family as well as the planet. • Exposures to chlorine gas, even at low levels, can irritate mucous membranes and cause coughing and breathing problems; burning, watery eyes and a runny nose. Higher levels can lead to chest pain, vomiting, severe breathing problems, fluid in the lungs and pneumonia.